By Caz | October 6, 2018 | This post may contain affiliate links, which means we may receive a small commission, at no cost to you, if you make a purchase through a link. Read our Disclosure. 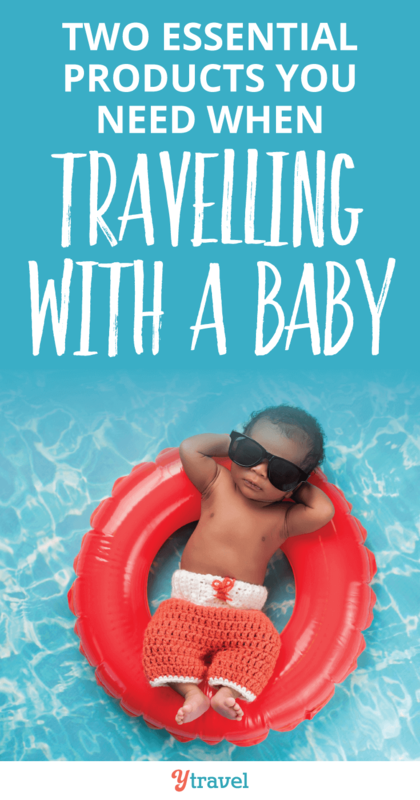 Traveling with a baby is not exactly easy, but definitely doable. 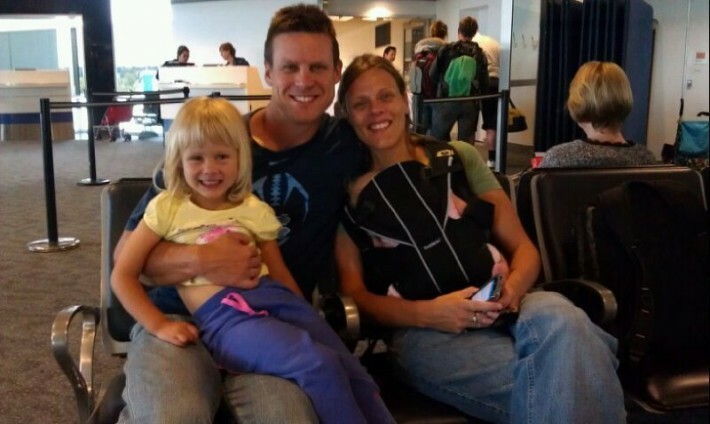 There is nothing that makes me happier than to create meaningful memories traveling with my family. 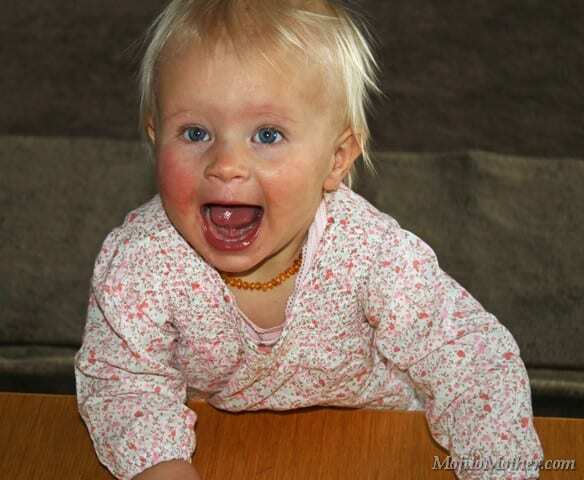 When our daughter was eight weeks old we travelled with her to New Zealand. The only difference between travelling with our baby and staying at home with them was we were out exploring and having an amazing time. There is extra luggage and sleep times to juggle. 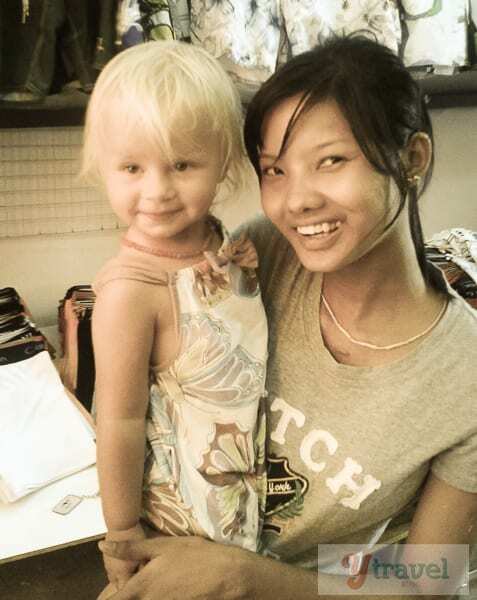 But, babies don’t do much else and they will love the time they get snuggled up to your chest as you carry them around. To make it easier on yourself, you definitely need to have some quality essential products that help to reduce the load. 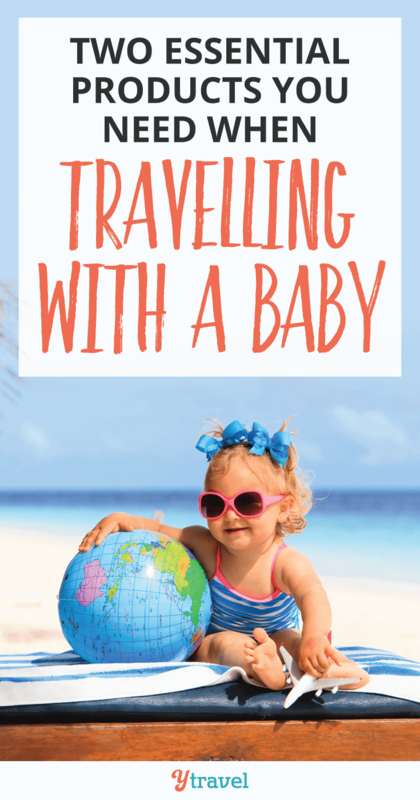 Since the birth of Savannah, we have been trying some Baby Bjorn products and the only word I can use to describe them is..
yes with a capital L.
They make travelling with a baby SO MUCH EASIER. When Kalyra was a baby I had a Baby Sling. I loved the idea of it, but it was bulky and awkward and I constantly feared that she would fall out or be smothered. Plus it hurt my back. The Baby Bjorn Miracle Carrier is everything that sling was not. It is easy to wear and easy to put Savannah in. Savannah is close to us at all times. It is designed to grow with Savannah, allowing us to carry her in it until she is about 15 months old. She can face towards or away from us. My hands are completely free and it is easy to do other activities with her in it. 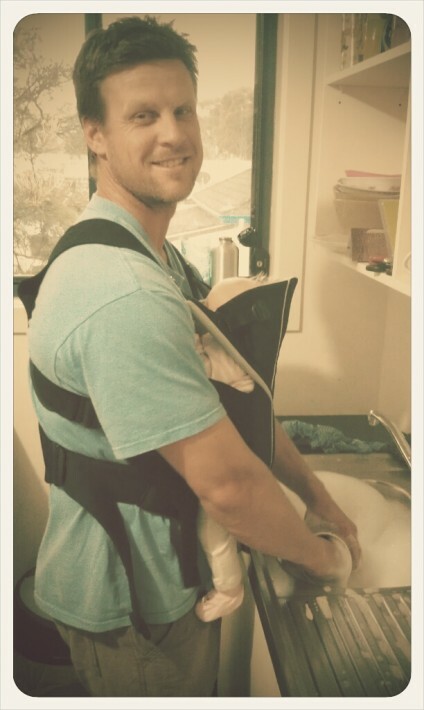 It is great for Craig to wear as well – and he loves the daddy bonding time carrying Savannah whilst doing any chores! It is recommended by pediatricians and has an adjustable design, padded waist belt, comfortable back support and wide shoulder straps. Most of all Savannah LOVES it – like really loves her Baby Bjorn. Like loves it so much that as we were touring around Rotorua for the day she slept the entire time, only popping out for a feed. The other guests on the tour could not believe how well she slept in it. In fact, later that night she protested all night that she now had to sleep in her cot. That had us worried that maybe the Baby Bjorn had ruined her sleeping for good. Thankfully, she sorted it all out by the next evening and was happily back in her cot. I just wish they made Adult Bjorns so Craig could carry me around all day and I can sleep. When we traveled with Kalyra we used to lug around a heavy and bulky port-a-cot; a cheap and very ugly one from Target. The first time we opened it up to use it, it took Craig and I almost half an hour to put together, it was that tricky. Even more so when it came time to fold it back up. I hated carrying it around with us and sometimes it just worked out better to throw Kalyra in the bed with us. I opened the small square bag, that was as light as a feather, at only 5 kg. It’s size and shape meant I was not going to swipe out the person beside me as I walked or worse tangle it up in my own legs and send myself sprawling over the tarmac. No, it almost felt like I was carrying a laptop bag. And then when I opened the cot to put it together, it sprang out from my hands, popping itself out into a port-a-cot. Just like that. I did not have to do a thing. Literally just sprang out. All I had to do was open out the thick, soft mattress and place it inside. The hardest part was then making the bed – too much effort! 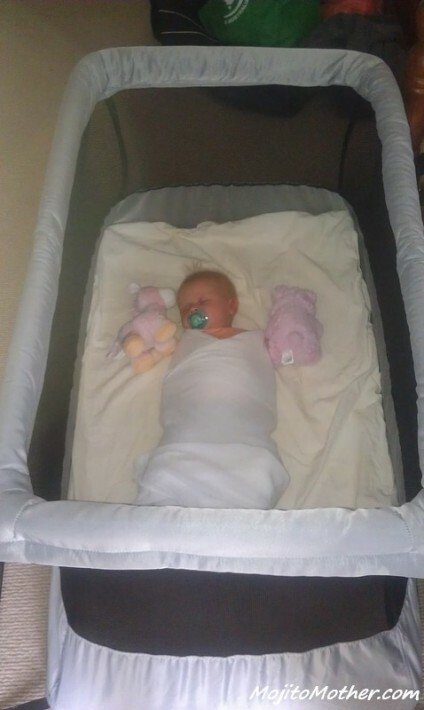 The portable cot is small and compact, which Savannah loves. She likes to feel like she is being embraced. She does not like a lot of empty space around her. It is the perfect size to fit in the smallest of rooms. 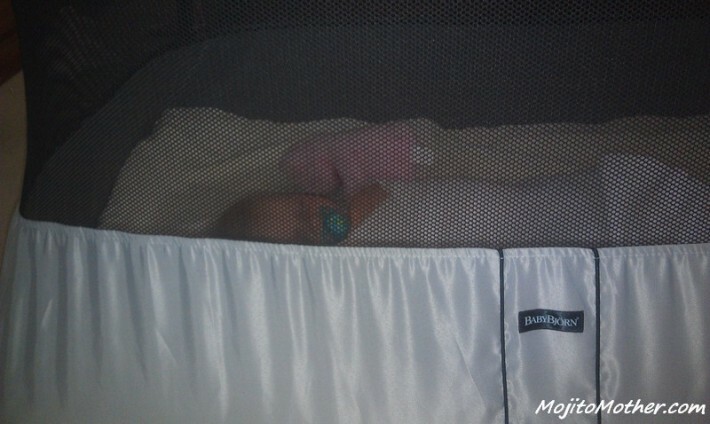 I love the breathable mesh around the outside, which also makes it easier to keep an eye on her when she is sleeping. The fabric is guaranteed harmless to infants and I love the soft grey colors. I would never use anything but a Baby Bjorn Miracle Carrier and travel cot, ever again. And even though these products were complimentary, in exchange for our review, I guarantee you that I stand behind these products as being the BOMB. I would purchase them myself and I would recommend these as a must travel product for traveling with a baby. It will make your parenting life easier. Even without the travel. Have you used any of these travel products for family travel before? 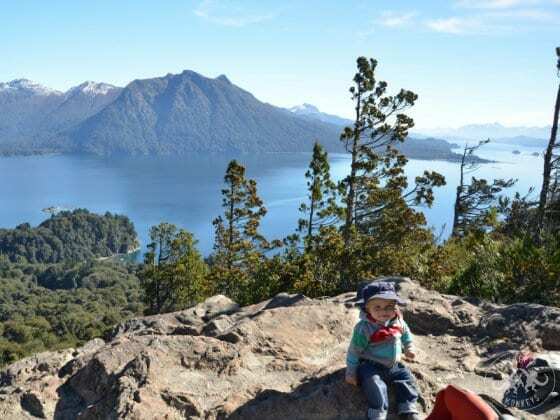 Travelling South America with a baby – Would you do it? I used the Baby Bjorn Carrier with both of my children. I would have to say they are great and highly recommend. 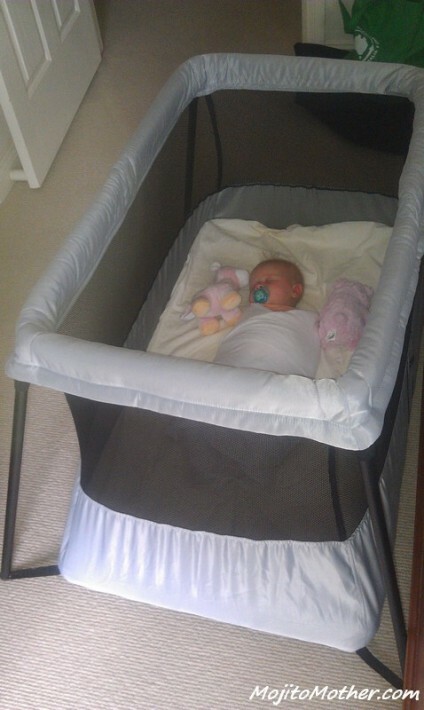 I have not tried the travel cot but it looks very similar to a Phil&Teds one I have and it works well. Wow, 5 stars from y Travel Blog! They must be fantastic!!! Totally agree! I absolutely love the bjorn baby carrier – i never go anywhere without it packed somewhere – just the freedom alone with two hands free makes it totally worth it! One other great thing to use along your travels…. The luxurious Stroller Bag by Stylish Little Me… perfect for travelling as it fits on all prams and can carry all the necessary travel essentials! Love the travel cot, wish I knew about that when my son was littler. We ended up just having him sleep in the bugaboo. When you out grow the Bjorn, check out the Boba carrier. I use that for my three AND my five year old. Without a stroller, they get tired and still need a break from walking after a few hours in museums. You get your husband working!! you need the rest. ACtually they need to make the carriers for us Mums! Thanks for sharing your experiences, very helpful for our community. We also swore by the Baby Bjorn travel crib before Charlotte graduated to a big-girl bed. We even managed to fit it into our suitcase. We are heading to Europe with our three kids and I am wondering if there is a similar product for an 18mth old. Obviously it would be different than this but something that can help us carry her about through narrow streets and up mountain paths. Any ideas ?